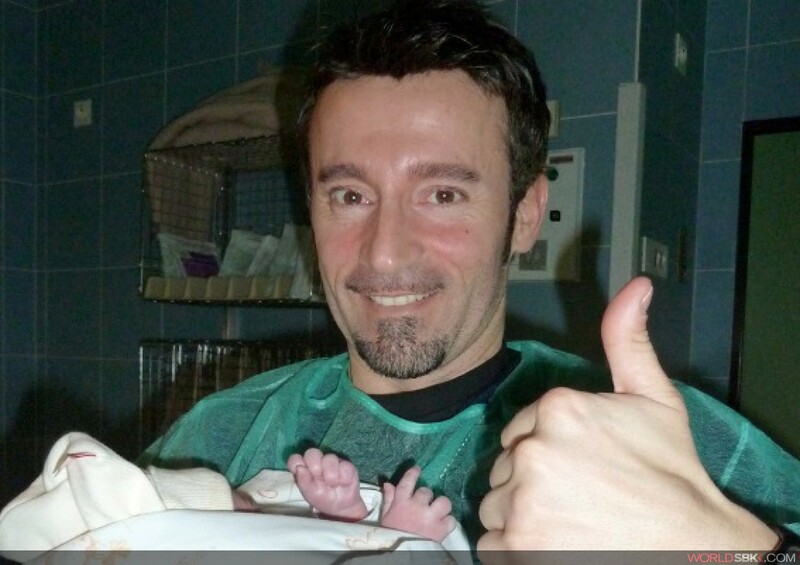 Today, December 16th 2010, is a yet another day to celebrate for Max Biaggi as Leon Alexandre Biaggi was born at the Princess Grace Hospital in Monte-Carlo. The baby boy weighs in at 2.9 kg, and his mother is fine, she will be discharged in a few days time. In this way Leon can now meet up with his little sister, the first-born, Inés Angelica who is already 15 months old. To mark the happy event, here's a photo of the 2010 champion in another amazing sprint to the line!